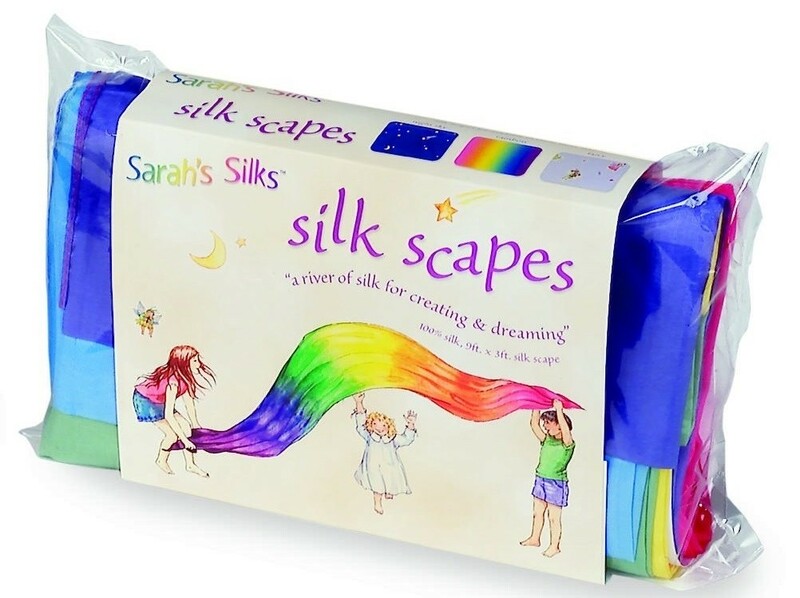 At nine feet long and three feet wide, Sarah's Silks silkscapes are large enough to make a canopy over a bed, create a play space or puppet theatre, a magical river, build an enchanting club house with chairs, or wrap yourself up in one. Endless possibilities for play and display. 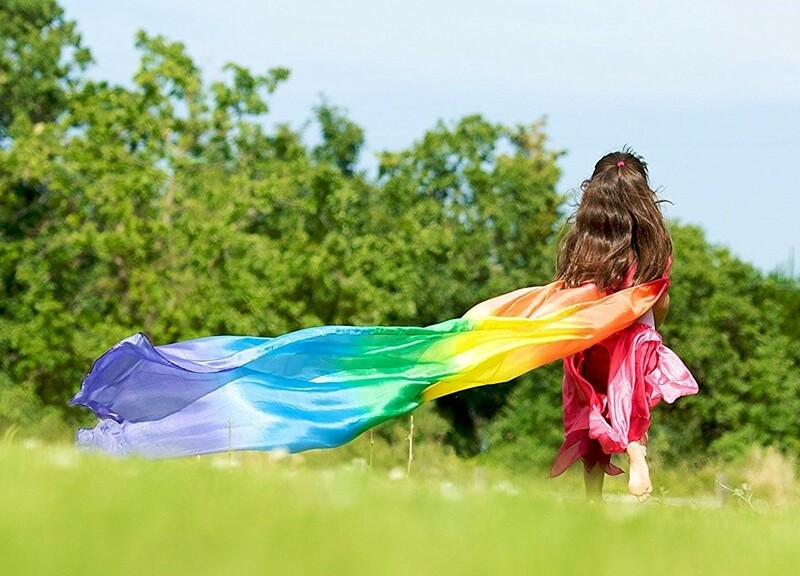 This rainbow silkscape is 9 feet long and 3 feet wide. Perfect as a bed canopy, as a mystic cape for your spellcaster, or many other purposes -- it's only limited by your child's imagination!